Offering decades of experience, an unmatched reputation for customer service, and superior craftsmanship, Daech & Bauer Roofing is a leader among roofing contractors serving homeowners in the Belleville, Illinois area. Our installers regularly attend training workshops and seminars to stay current on industry advancements, and we’re proud to have successfully completed more than 10,000 projects and counting. Daech & Bauer is also one of the few local roofing contractors that provides a total roofing system. Our three-step process ensures that your new roof is properly sealed to prevent water intrusion, will be able to withstand inclement weather, and allows for proper ventilation in your attic. 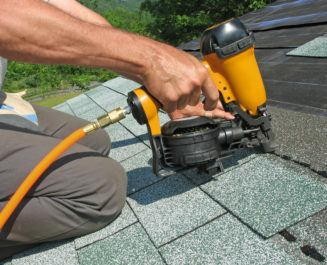 This can slow roof deterioration and reduce heat transfer, which can lessen the workload for your home’s HVAC system. If the roof on your home is in need of attention, contact the experts at Daech & Bauer Roofing today.